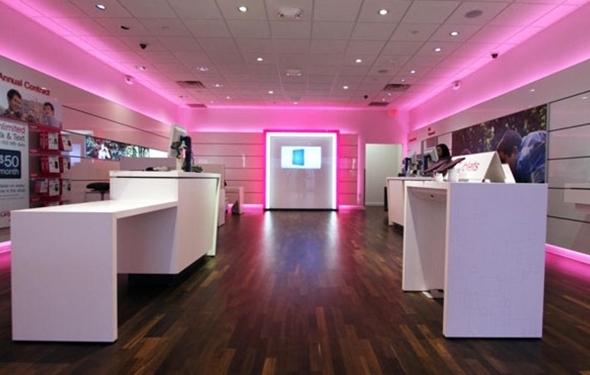 Lately, T-Mobile has been nothing but a huge headache for other mobile service providers. By doing away with contracts and allowing people to upgrade their phones whenever they want, companies like Verizon and AT&T have had to really look into changing their practices. Now T-Mobile is out to cause even more problems. It is currently believed that T-Mobile is about to announce its final plan for a huge “mobile” industry overhaul. This last part will include buying people out of the contracts that they are currently locked into. So how will this work? Let’s say that a customer is currently in contract with Verizon. That person is not able to switch to T-Mobile unless they were willing to pay an early termination fee to break their contract with Verizon. Since most people do not want to pay this outrageous fee, which gets more expensive depending on how much time you have left on your contract, they simply stick with the service provider they have. When they reach the end of their contract, companies like Verizon offer free phones if they stay on their networks. Once the people accept the phone, they are locked into another two-year contract. T-Mobile is looking to put an end to this by paying customers’ early termination fees if they want to break contracts with other service providers. In short, these termination fees are no longer an issue for people who want to switch. Once people switch to T-Mobile, they are greeted by plans that do not lock them into contracts and give them the ability to upgrade phones whenever they want. When people want a new phone, they simply split the price of the phone between 24 monthly payments that are added to their phone bills. So, for example, if someone wants the new Nexus 5, they could upgrade to it whenever they want and only pay an extra $17 a month on their phone bill for 24 months (the current offering). That’s not a bad deal. This new move by T-Mobile will offer customers up to $350 in credit when they switch from another service provider. This should be enough to cover just about any early termination fee. This is a feature that some other mobile providers have offered as promotions, but T-Mobile is looking to make it a permanent thing. Top all of this off with T-Mobile’s unlimited data on every plan, and it is easy to see why so many people are switching over to T-Mobile. Everything is extremely easy to understand, which has been T-Mobile’s goal all along. The end of mobile phone contracts may soon be coming to an end.